This is “Working with People on Projects”, chapter 5 from the book Beginning Project Management (v. 1.1). For details on it (including licensing), click here. 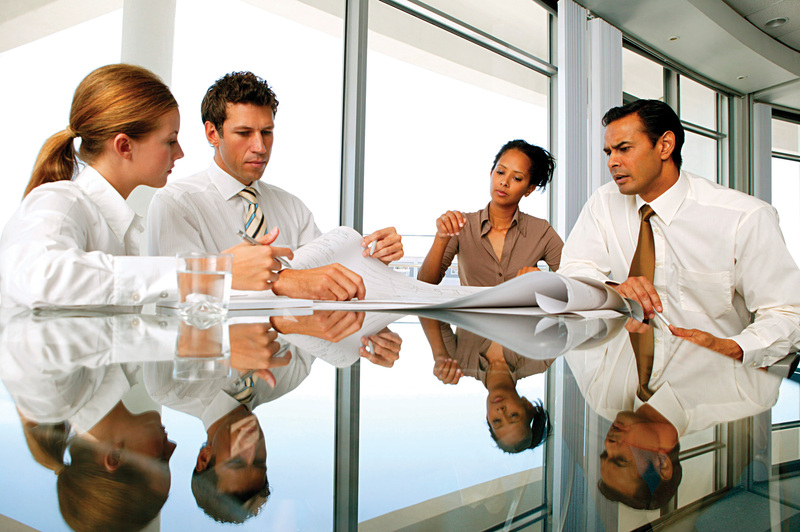 Project management encompasses the concepts of management and leadership. Although leadership and management research have made distinctions between the two concepts, the project management profession has integrated the two concepts, and project management refers to the leadership and management needed to lead and manage a project. A project manager leads people and manages work processes. Project management is both art and science. It is the art of creating a vision of success, building a project team, and developing a project story. Project leadership encompasses the personality, leadership style, and leadership skills of the project manager. Project management also includes formulas and processes for calculating the critical path, developing goals, and managing meetings. Some projects are more leader sensitive,Albert A. Einsiedel, “Profile of Effective Project Managers,” Project Management Journal 18 (1987): 5. and the success of the project is more dependent on the leadership skills of the project manager. Leadership is a function of the project manager’s leadership style, personality type, and understanding of emotions. Management is mastery of the skills needed to organize and execute the work of the project. Each project includes challenges that require both leadership and management. The leadership and management skills needed are related to the project complexity profile. In general, more complex projects require a greater degree of leadership and management skill. This chapter will review various leadership approaches and management skills. 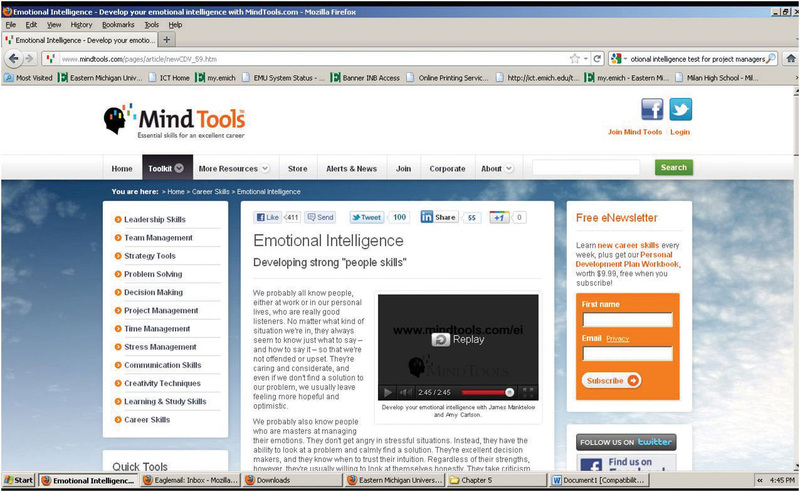 Describe personality types and tools used to describe them. Describe the relationship between leadership style and personality types. 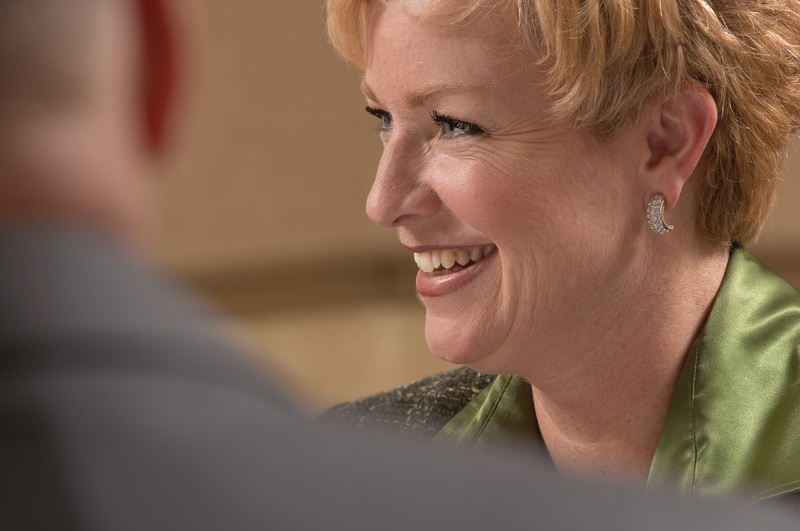 Describe people skills that are necessary for negotiation and conflict resolution. Describe how work is delegated. Describe individual goals that are related to personality types. Working with other people involves dealing with them both logically and emotionally. A successful working relationship between individuals begins with appreciating the importance of emotions and how they relate to personality types, leadership styles, negotiations, and setting goals. Emotions are neither positive nor negative. Emotions are both a mental and physiological response to environmental and internal stimuli. Leaders need to understand and value their emotions to appropriately respond to the client, project team, and project environment. Daniel GolemanDaniel Goleman, Emotional Intelligence (New York: Bantam Books, 1995). discussed emotional intelligence quotient (EQ)Ability to sense, understand, and effectively apply the power and acumens of emotions. as a factor more important than IQ in predicting leadership success. According to Robert Cooper and Ayman Sawaf, “Emotional intelligence is the ability to sense, understand, and effectively apply the power and acumens of emotions as a source of human energy, information, connection, and influence.”Robert K. Cooper and Ayman Sawaf, Executive EQ, Emotional Intelligence in Leadership and Organizations (New York: Perigree Book, 1997), xiii. Understanding emotions leads to project success. Emotions are important to generating energy around a concept, to building commitment to goals, and to developing high-performing teams. Emotional intelligence is an important part of the project manager’s ability to build trust among the team members and with the client. It is an important factor in establishing credibility and an open dialogue with project stakeholders. Emotional intelligence is a critical ability for project managers, and the more complex the project profile, the more important the project manager’s EQ becomes to project success. Personality types refer to the difference among people. Understanding your personality type as a project manager will assist you in understanding your tendencies and strengths in different situations. Understanding personality types can also help you understand the contributions of various members of your team and the various needs of your client. These four dimensions are then grouped to represent various personality types. 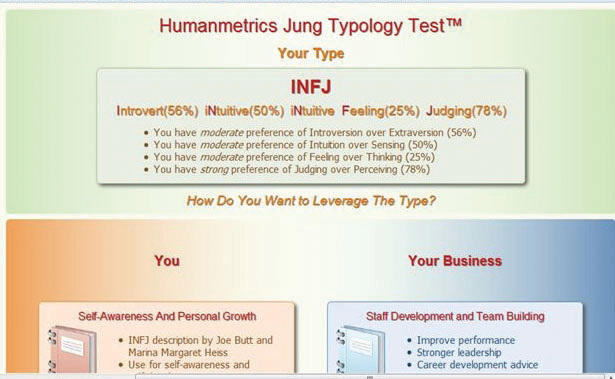 The Myers-Briggs Type Indicator (MBTI)Personality assessment tool that uses four pairs of letters: E-I, S-N, T-F, and J-P. is one of most widely used tools for exploring personal preference, with more than two million people taking the MBTI each year. The MBTI is often referred to as simply the Myers-Briggs. It is a tool that can be used in project management training to develop awareness of preferences for processing information and relationships with other people. Based on the theories of psychologist Carl Jung, the Myers-Briggs uses a questionnaire to gather information on the ways individuals prefer to use their perception and judgment. Perception represents the way people become aware of people and their environment. Judgment represents the evaluation of what is perceived. People perceive things differently and reach different conclusions based on the same environmental input. Understanding and accounting for these differences is critical to successful project leadership. Sixteen Myers-Briggs types can be derived from the four dichotomies. Each of the sixteen types describes a preference: for focusing on the inner or outer world (E-I), for approaching and internalizing information (S-I), for making decisions (T-F), and for planning (J-P). For example, an ISTJ is a Myers-Briggs type who prefers to focus on the inner world and basic information, prefers logic, and likes to decide quickly. Personality type indicates preferences for dealing with situations. It is important to note that there is no best type and that effective interpretation of the Myers-Briggs requires training. The purpose of the Myers-Briggs is to understand and appreciate the differences among people. This understanding can be helpful in building the project team, in developing common goals, and communicating with project stakeholders. For example, different people process information differently. Extraverts prefer face-to-face meetings as the primary means of communicating, while introverts prefer written communication. Sensing types focus on facts, and intuitive types want the big picture. On larger, more complex projects, some project managers will use the Myers-Briggs as a team-building tool during project start-up. This is typically a facilitated work session where team members take the Myers-Briggs and share with the team how they process information, what communication approaches they prefer, and what decision-making preferences they have. This allows the team to identify potential areas of conflict, develop communication strategies, and build an appreciation for the diversity of the team. One project team in South Carolina used color-coded badges for the first few weeks of the project to indicate Myers-Briggs type. For this team, this was a way to explore how different team members processed information, made decisions, and took action. 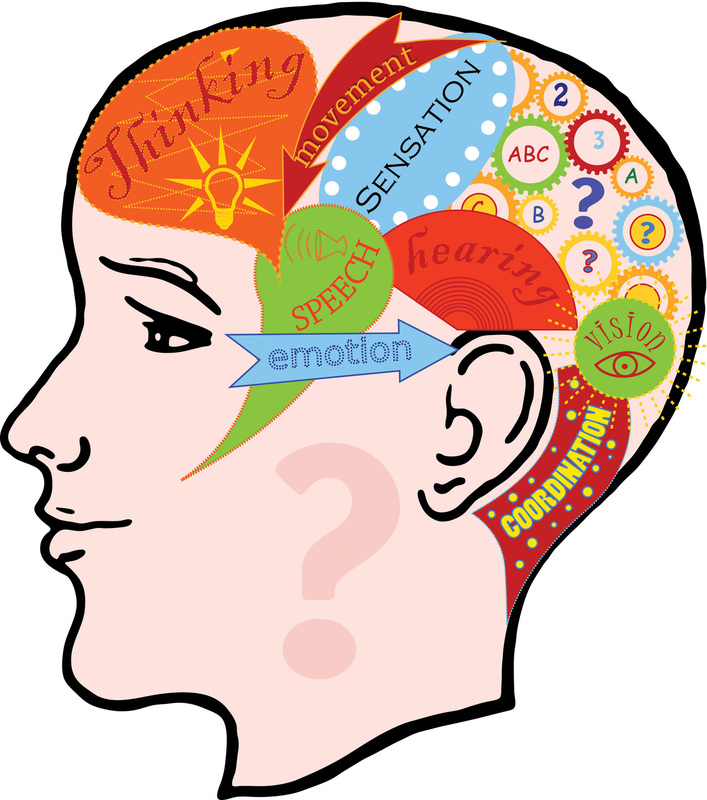 Some people use a description of personality types that is based on research that shows that some functions of thinking and perception are localized on the left or right side of the brain. In this system, the left side of the brain is associated with recalling specific facts and definitions and performing calculations, while the right side of the brain is associated with emotions, estimates, and comparisons. The attraction of this system is that it categorizes people into just two categories—left or right brain dominance—but it should be used cautiously to avoid oversimplification. Understanding the differences among people is a critical leadership skill. This includes understanding how people process information, how different experiences will influence the way people perceive the environment, and how people develop filters that allow certain information to be incorporated while other information is excluded. The more complex the project, the more important the understanding of how people process information, make decisions, and deal with conflict. Leadership is a function of both the personal characteristics of the leader and the environment in which the leadership must occur. Several researchers have attempted to understand leadership from the perspective of the characteristics of the leader and the environment of the situation. Robert Tannenbaum and Warren SchmidtRobert Tannenbaum and Warren Schmidt, “How to Choose a Leadership Pattern,” Harvard Business Review 36 (1958): 95–101. described leaders as either autocratic or democratic. Harold LeavittHarold Leavitt, Corporate Pathfinders (New York: Dow-Jones-Irwin and Penguin Books, 1986). described leaders as pathfinders (visionaries), problem solvers (analytical), or implementers (team oriented). James MacGregor BurnsJames MacGregor Burns, Leadership (New York: Harper & Row, 1978). conceived leaders as either transactional (focused on actions and decisions) or transformational (focused on the long-term needs of the group and organization). Fred FiedlerFred E. Fiedler, “Validation and Extension of the Contingency Model of Leadership Effectiveness,” Psychological Bulletin 76, no. 2 (1971): 128–48. introduced contingency theory and the ability of leaders to adapt their leadership approach to the environment. Most leaders have a dominant leadership style that is most comfortable. For example, most engineers spend years training in analytical problem solving and often develop an analytical approach to leadership. 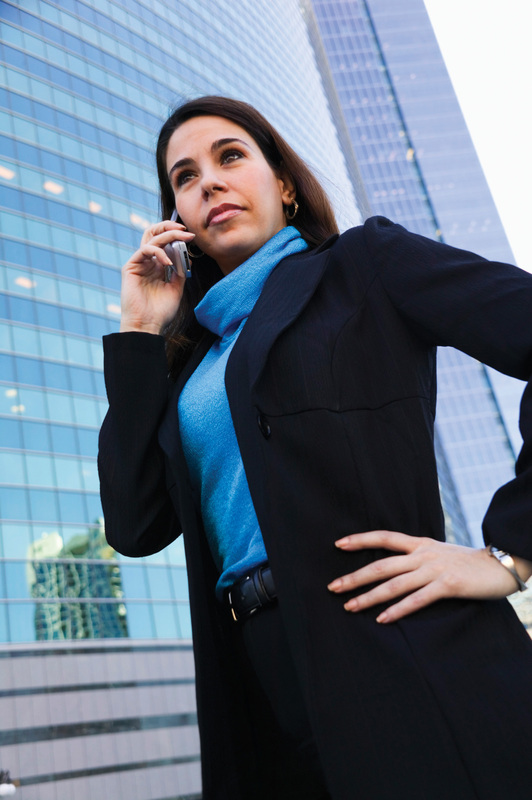 A leadership style reflects personal characteristics and life experiences. Although a project manager’s leadership style may be predominantly a pathfinder (using Leavitt’s taxonomy), most project managers become problem solvers or implementers when they perceive the need for these leadership approaches. The leadership approach incorporates the dominant leadership style and Fiedler’s contingency focus on adapting to the project environment. No particular leadership approach is specifically appropriate for managing a project. Each project has a unique set of circumstances because, by definition, projects are unique endeavors. The leadership approach and the management skills required to be successful vary depending on the complexity profile of the project. The Project Management Institute published research that studied project management leadership skillsQian Shi and Jianguo Chen, The Human Side of Project Management: Leadership Skills (Newtown Square, PA: Project Management Institute, Inc., 2006), 4–11. and concluded that project managers needed good communication skills and the ability to build harmonious relationships and motivate others. Beyond this broad set of leadership skills, the successful leadership approach will depend of the profile of the project. Appropriate leadership style depends on project complexity. A transactional project manager with a strong command and control leadership approach may be very successful on a small software development project or a construction project, where tasks are clear, roles are well understood, and the project environment is cohesive. This same project manager is less likely to be successful on a larger, more complex project with a diverse project team and complicated work processes. Matching the appropriate leadership style and approach to the complexity profile of the project is a critical element of project success. Even experienced project managers are less likely to be successful if their leadership approach does not match the complexity profile of the project. Each project phase may also require a different leadership approach. During the start-up phase of a project, when new team members are first assigned to the project, the project may require a command and control leadership approach. Later, as the project moves into the conceptual development phase, creativity becomes important, and the project management takes on a more transformational type leadership approach. Most experienced project managers are able to adjust their leadership approach to the needs of the project phase. Occasionally, on very large, complex projects, some companies will change project managers after the conceptual phase of the project to bring in a different project leadership approach or change project managers to manage the closeout of a project. Changing project managers may bring the right level of experience and the appropriate leadership approach but is also disruptive to a project. Senior management must balance the benefit of matching the right leadership approach with the cost of disrupting the project. On a project to build a new chemical plant that produced dyes for paint, the project manager led a team that included members from partners that were included in a joint venture. The design manager was Greek, the construction manager was German, and other members of the team were from various locations in the United States and Europe. In addition to the traditional potential for conflict that arises from team members from different cultures, the design manager and construction manager were responsible for protecting the interest of their company in the joint venture. The project manager held two alignment or team-building meetings. The first was a two-day meeting held at a local resort and included only the members of the project leadership team. An outside facilitator was hired to facilitate discussion, and the topic of cultural conflict and organizational goal conflict quickly emerged. The team discussed several methods for developing understanding and addressing conflicts that would increase the likelihood of finding mutual agreement. The second team-building session was a one-day meeting that included the executive sponsors from the various partners in the joint venture. With the project team aligned, the project manager was able to develop support for the project’s strategy and commitment from the executives of the joint venture. In addition to building processes that would enable the team to address difficult cultural differences, the project manager focused on building trust with each of the team members. The project manager knew that building trust with the team was as critical to the success of the project as the technical project management skills and devoted significant management time to building and maintaining this trust. EinsiedelAlbert A. Einsiedel, “Profile of Effective Project Managers,” Project Management Journal 18 (1987): 5. discussed qualities of successful project managers. The project manager must be perceived to be credible by the project team and key stakeholders. The project manager can solve problems. A successful project manager has a high degree of tolerance for ambiguity. On projects, the environment changes frequently, and the project manager must apply the appropriate leadership approach for each situation. Breakdown in communication represented the lack of communication skills. Uncommitted team members represented the lack of team-building skills. Role confusion represented the lack of organizational skills. 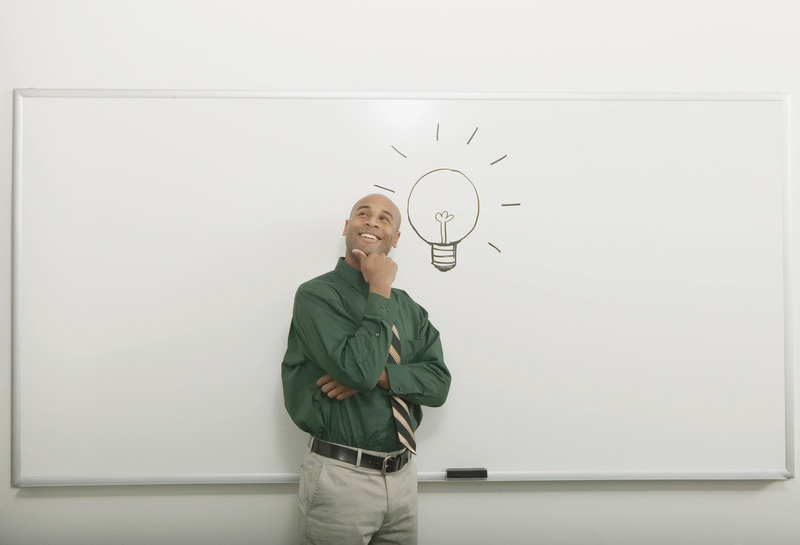 The research indicates that project managers need a large numbers of skills. These skills include administrative skills, organizational skills, and technical skills associated with the technology of the project. The types of skills and the depth of the skills needed are closely connected to the complexity profile of the project. Typically on smaller, less complex projects, project managers need a greater degree of technical skills. On larger, more complex projects, project managers need more organizational skills to deal with the complexity. On smaller projects, the project manager is intimately involved in developing the project schedule, cost estimates, and quality standards. On larger projects, functional managers are typically responsible for managing these aspects of the project, and the project manager provides the organizational framework for the work to be successful. One of the most important communication skills of the project manager is the ability to actively listen. Active listening takes focus and practice to become effective. Active listening is placing yourself in the speaker’s position as much as possible, understanding the communication from the point of view of the speaker, listening to the body language and other environmental cues, and striving not just to hear, but to understand. 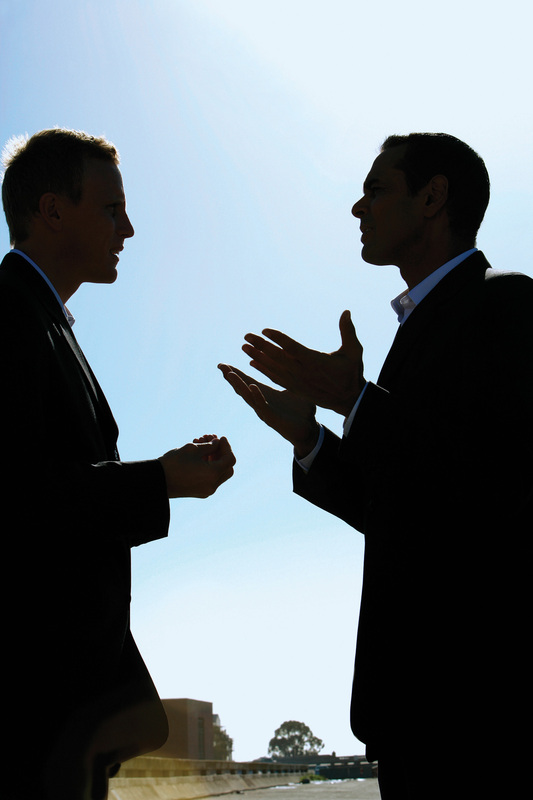 Conflict resolution requires good listening skills. Active listening enables a project manager to go beyond the basic information that is being shared and to develop a more complete understanding of the information. A client just returned from a trip to Australia where he reviewed the progress of the project with his company’s board of directors. The project manager listened and took notes on the five concerns expressed by the board of directors to the client. The project manager observed that the client’s body language showed more tension than usual. This was a cue to listen very carefully. The project manger nodded occasionally and clearly demonstrated he was listening through his posture, small agreeable sounds, and body language. The project manager then began to provide feedback on what was said using phrases like “What I hear you say is…” or “It sounds like.…” The project manager was clarifying the message that was communicated by the client. The project manager then asked more probing questions and reflected on what was said. “It sounds as if it was a very tough board meeting.” “Is there something going on beyond the events of the project?” From these observations and questions, the project manager discovered that the board of directors meeting did not go well. The company had experienced losses on other projects, and budget cuts meant fewer resources for the project and an expectation that the project would finish earlier than planned. The project manager also discovered that the client’s future with the company would depend on the success of the project. The project manager asked, “Do you think we will need to do things differently?” They began to develop a plan to address the board of directors’ concerns. Through active listening, the project manager was able to develop an understanding of the issues that emerged from the board meeting and participate in developing solutions. Active listening and the trusting environment established by the project manager enabled the client to safely share information he had not planned on sharing and to participate in creating a workable plan that resulted in a successful project. The active listening was important to establishing a common understanding from which an effective project plan could be developed. Negotiation is a process for developing a mutually acceptable outcome when the desired outcome for parties in the negotiation is sufficiently different that both cannot achieve the desired outcome. A project manager will often negotiate with a client, with team members, with vendors, and with other project stakeholders. A larger and more complex project will have a large number of stakeholders, often with conflicting desired outcomes. Negotiation is an important skill in developing support for the project and preventing frustration among stakeholders, which could delay or cause project failure. The first principle is to separate people from the problem. If the person is seen as the problem, then finding a mutually acceptable solution will be difficult. Framing the discussions in terms of desired outcomes enables the negotiations to focus on finding new outcomes. The second principle is to focus on common interests. By avoiding the focus on differences, both parties are more open to finding solutions that are acceptable. The third principle is to generate options that advance shared interests. Once the common interests are understood, solutions that do not match with either party’s interests can be discarded, and solutions that may serve both parties’ interests can be more deeply explored. Verma’s final principle is to develop results based on standard criteria. The standard criterion is the success of the project. This implies that the parties develop a common definition of project success. For the project manager to successfully negotiate issues on the project, he or she should first seek to understand the position of the other party. If negotiating with a client, what is the concern or desired outcome of the client? What are the business drivers and personal drivers that are important to the client? Without this understanding, it is difficult to find a solution that will satisfy the client. The project manager should also seek to understand what outcomes are desirable to the project. Typically, more than one outcome is acceptable. 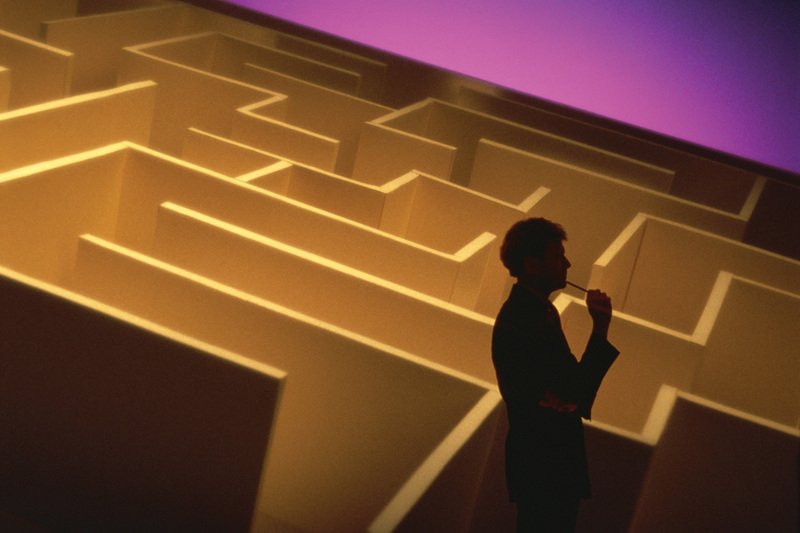 Without knowing what outcomes are acceptable, it is difficult to find a solution that will produce that outcome. One of the most common issues in formal negotiations is finding a mutually acceptable price for a service or product. Understanding the market value for a product or service will provide a range for developing a negotiations strategy. The price paid on the last project or similar projects provides information on the market value. Seeking expert opinions from sources who would know the market is another source of information. Based on this information, the project manager can then develop an expected range from the lowest price that would be expected within the current market to the highest price. Additional factors will also affect the negotiated price. The project manger may be willing to pay a higher price to assure an expedited delivery or a lower price if delivery can be made at the convenience of the supplier or if payment is made before the product is delivered. Developing as many options as possible provides a broader range of choices and increases the possibility of developing a mutually beneficial outcome. The process of negotiation can influence future supplier relationships. The goal of negotiations is not to achieve the lowest costs, although that is a major consideration, but to achieve the greatest value for the project. If the supplier believes that the negotiations process is fair and the price is fair, the project is more likely to receive higher value from the supplier. The relationship with the supplier can be greatly influenced by the negotiation process and a project manager that attempts to drive the price unreasonably low or below the market value will create an element of distrust in the relationship that may have negative consequences for the project. A positive negotiation experience may create a positive relationship that may be beneficial, especially if the project begins to fall behind schedule and the supplier is in a position to help keep the project on schedule. After difficult negotiations on a construction project in Indiana, the project management team met with a major project supplier and asked, “Now that the negotiations are complete, what can we do to help you make more profit?” Although this question surprised the supplier, the team had discussed how information would flow, and confusion in expectations and unexpected changes always cost the supplier more money. The team developed mechanisms for assuring good information and providing early information on possible changes and tracked the effect of these efforts during the life of the project. These efforts and the increased trust did enable the supplier to increase profits on the project, and the supplier made special efforts to meet every project expectation. During the life of the project, the supplier brought several ideas on how to reduce total project costs and increase efficiency. The positive outcome was the product of good supplier management by the project team, but the relationship could not have been successful without good faith negotiations. Conflict on a project is to be expected because of the level of stress, lack of information during early phases of the project, personal differences, role conflicts, and limited resources. Although good planning, communication, and team building can reduce the amount of conflict, conflict will still emerge. How the project manager deals with the conflict results in the conflict being destructive or an opportunity to build energy, creativity, and innovation. Each of these approaches can be effective and useful depending on the situation. Project managers will use each of these conflict resolution approaches depending on the project manager’s personal approach and an assessment of the situation. Most project managers have a default approach that has emerged over time and is comfortable. For example, some project managers find the use of the project manager’s power the easiest and quickest way to resolve problems. “Do it because I said to” is the mantra for project managers who use forcing as the default approach to resolve conflict. Some project managers find accommodating with the client the most effective approach to dealing with client conflict. The effectiveness of a conflict resolution approach will often depend on the situation. The forcing approach often succeeds in a situation where a quick resolution is needed, and the investment in the decision by the parties involved is low. Two senior managers both want the office with the window. The project manager intercedes with little discussion and assigns the window office to the manager with the most seniority. The situation was a low-level conflict with no long-range consequences for the project and a solution all parties could accept. Sometimes office size and location is culturally important, and this situation would take more investment to resolve. In another example, the client rejected a request for a change order because she thought the change should have been foreseen by the project team and incorporated into the original scope of work. The project controls manager believed the client was using her power to avoid an expensive change order and suggested the project team refuse to do the work without a change order from the client. This is a more complex situation, with personal commitments to each side of the conflict and consequences for the project. The project manager needs a conflict resolution approach that increases the likelihood of a mutually acceptable solution for the project. One conflict resolution approach involves evaluating the situation, developing a common understanding of the problem, developing alternative solutions, and mutually selecting a solution. Evaluating the situation typically includes gathering data. In our example of a change order conflict, gathering data would include a review of the original scope of work and possibly of people’s understandings, which might go beyond the written scope. The second step in developing a resolution to the conflict is to restate, paraphrase, and reframe the problem behind the conflict to develop a common understanding of the problem. In our example, the common understanding may explore the change management process and determine that the current change management process may not achieve the client’s goal of minimizing project changes. This phase is often the most difficult and may take an investment of time and energy to develop a common understanding of the problem. Conflict resolution skills are needed to meet goals. After the problem has been restated and agreed on, alternative approaches are developed. This is a creative process that often means developing a new approach or changing the project plan. The result is a resolution to the conflict that is mutually agreeable to all team members. If all team members believe every effort was made to find a solution that achieved the project charter and met as many of the team member’s goals as possible, there will be a greater commitment to the agreed-on solution. In our example, the project team found a new way to accomplish the project goals without a change to the project scope. On this project, the solution seemed obvious after some creative discussions, but in most conflict situations, even the most obvious solutions can be elusive. Delegating responsibility and work to others is a critical project management skill. The responsibility for executing the project belongs to the project manager. Often other team members on the project will have a functional responsibility on the project and report to a functional manager in the parent organization. For example, the procurement leader for a major project may also report to the organization’s vice president for procurement. Although the procurement plan for the project must meet the organization’s procurement policies, the procurement leader on the project will take day-to-day direction from the project manager. The amount of direction given to the procurement leader, or others on the project, is the decision of the project manager. If the project manager delegates too little authority to others to make decisions and take action, the lack of a timely decision or lack of action will cause delays on the project. Delegating too much authority to others who do not have the knowledge, skills, or information will typically cause problems that result in delay or increased cost to the project. 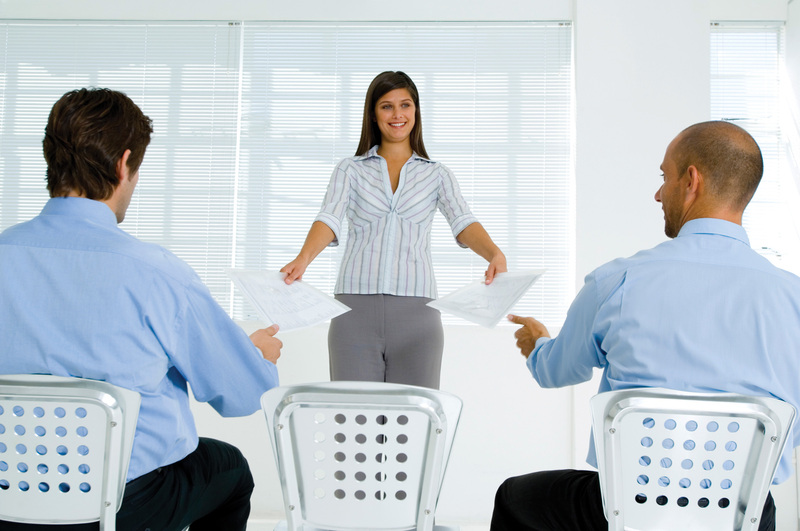 Finding the right balance of delegation is a critical project management skill. A good project manager delegates work well. When developing the project team, the project manager selects team members with the knowledge, skills, and abilities to accomplish the work required for the project to be successful. Typically, the more knowledge, skills, abilities, and experience a project team member brings to the project, the more that team member will be paid. To keep the project personnel costs lower, the project manager will develop a project team with the level of experience and the knowledge, skills, and abilities to accomplish the work. On smaller, less complex projects, the project manager can provide daily guidance to project team members and be consulted on all major decisions. On larger, more complex projects, there are too many important decisions made every day for the project manager to be involved at the same level, and project team leaders are delegated decision-making authority. Larger projects, with a more complex profile will typically pay more because of the need for the knowledge and experience. On larger, more complex project, the project manager will develop a more experienced and knowledgeable team that will enable the project manager to delegate more responsibility to these team members. A construction project in Peru was falling behind schedule, and the project manager decided to assign a new construction manager for the construction site that was the most behind schedule. An experienced project manager from the United States with a reputation for meeting aggressive schedules was assigned to the construction site and delegated the authority to meet scheduled milestones. The construction manager did not have experience outside the United States and began making decisions that would have worked in the United States but met cultural resistance in Peru. The project began falling further behind and another construction manager was assigned to the site. The project manager must have the skills to evaluate the knowledge, skills, and abilities of project team members and evaluate the complexity and difficulty of the project assignment. Often project managers want project team members they have worked with in the past. Because the project manager knows the skill level of the team member, project assignments can be made quickly with less supervision than with a new team member with whom the project manager has little or no experience. Delegation is the art of creating a project organizational structure with the work organized into units that can be managed. Delegation is the process of understanding the knowledge, skills, and abilities needed to manage that work and then matching the team members with the right skills to do that work. Good project managers are good delegators. The Myers-Briggs rates an individual’s preferences—not their limitations. It is important to understand that each individual can still function in situations for which they are not best suited. For example, a project leader who is more Thinking (T) than Feeling (F) would need to work harder to be considerate of how a team member who is more Feeling (F) might react if they were singled out in a meeting because they were behind schedule. If a person knows their preferences and which personality types are most successful in each type of project or project phase, they can set goals for improvement in their ability to perform in those areas that are not their natural preference. Another individual goal is to examine which conflict resolution styles are least comfortable and work to improve those styles so that they can be used when they are more appropriate than your default style. 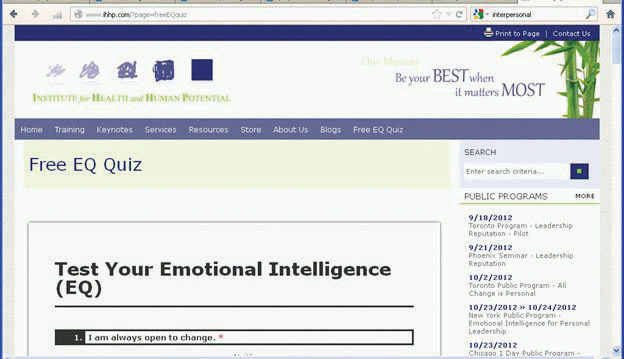 Emotional intelligence is the ability to sense, understand, and effectively apply emotions. Two common tools for describing personality types are DISC (Dominance, Influence, Steadiness, and Conscientiousness) and the Myers-Briggs Type Indicator (MBTI). The MBTI is the most common. It rates personalities on the position between extremes of four paired terms: Extroversion (E)-Introversion (I), Sensing (S)-Intuition (I), Thinking (T)-Feeling (F), and Judging (J)-Perceiving (P). Leadership styles are usually related to the personality of the leader. The type of leadership style that is most effective depends on the complexity and the phase of the project. Negotiation and conflict resolution require skill at listening and an understanding of emotional intelligence and personality types. Delegation is the art of creating a project organizational structure that can be managed and then matching the team members with the right skills to do that work. Individual goals can be set for improving abilities that are not natural personality strengths to deal with projects and project phases. Ability to sense and understand emotions is called _____ _______ (two words). A personality assessment tool that is commonly used that identifies preferences between pairs of terms is the MBTI, or more commonly known as the ________-________. What do the letters INTJ stand for in a Myers-Briggs personality profile? How does delegation involve the organization and its people? Identify which leadership style you think is most suitable for your personality and which is least suitable. Next, identify a level of project complexity or project phase where your preferred style is least suitable. Describe an individual goal and how you might pursue that goal for strengthening your ability to lead on that type of project or during that phase. A team is a collaboration of people with different personalities that is lead by a person with a favored leadership style. Managing the interactions of these personalities and styles as a group is an important aspect of project management. Lack of trust makes filters stronger. The project typically begins with a charter or contract. A contract is a legal agreement that includes penalties for any behavior or results not achieved. Contracts are based on an adversarial paradigm and do not lend themselves to creating an environment of trust. Contracts and charters are necessary to clearly establish, among other things, the scope of the project, but they are not conducive to establishing a trusting project culture. On a project in Charleston, South Carolina, the client was asking for more and more backup to information from the project. The project manager visited the client to better understand the reporting requirements and discovered the client did not trust the reports coming from the project and wanted validating material for each report. After some candid discussion, the project manager discovered that one of the project team members had provided information to the client that was inaccurate. The team member had made a mistake but had not corrected it with the client, hoping that the information would get lost in the stream of information from the project. The project manager removed the team member from the project for two main reasons. The project manager established that the cost of lying was high. The removal communicated to the project team an expectation of honesty. The project manager also reinforced a covenant with the client that reinforced the trust in the information the project provided. The requests for additional information declined, and the trust relationship between project personnel and the client remained high. Different personality types have different perspectives. Management meetings are also an opportunity to discover obstacles to goal achievement. The project team reallocates resources or develops alternative methods for accomplishing the goals. As the project team discusses the progress of project goals, the project manger explores possible obstacles and encourages exposing potential problems in achieving goals. The project manager focuses the team on finding solutions and avoids searching for blame. Teams can outperform individual team members in several situations. The effort and time invested in developing a team and the work of the team are large investments of project resources, and the payback is critical to project success. Determining when a team is needed and then chartering and supporting the development and work of the team is another critical project management ability. A cross-functional project team in Tennessee was assigned to develop a project approach to procuring, delivering, and erecting precast concrete without storing the concrete on the site. Although the complexity of this goal is primarily related to delivering the precast concrete in a sequence that will allow erection from the delivery trucks, the planning involved coordination of the design, procurement, and project controls. Team members from each of these functions developed and tracked a plan to meet the project goal. The cross-functional team was successful in designing a process and executing the plan in a way that saved three weeks on the schedule and several thousand dollars in cost. Problem-solving teams focus on a particular problem. On a project in Indiana, a company selected to design and build a critical piece of equipment began having financial problems, and the delivery of the equipment on the date needed by the project was at risk. A problem-solving team was chartered to assess the problem and develop a solution for the project. The team brought in some accounting expertise from the parent company and assessed the status of the vendor. The engineering team assessed the current state of the design, and the construction team developed an alternative schedule to allow for a late delivery of the equipment. The team developed a plan to support the vendor with funds and expertise that allowed the project to complete on time. The problem-solving team was organized to address a specific problem, developed and executed a plan to address the problem, and then was disbanded. The project manager has several tools for developing good quantitativeBased on numbers and measurements. information—based on numbers and measurements—such as the project schedules, budgets and budget reports, risk analysis, and goal tracking. This quantitative information is essential to understanding the current status and trends on the project. Just as important is the development of qualitativeComparison of qualities. information—comparisons of qualities—such as judgments made by expert team members that go beyond the quantitative data provided in a report. Some would label this the “gut feeling” or intuition of experienced project managers. The Humm FactorQualitative project measurement tool developed by Russ Darnall. is a tool developed by Russ DarnallShari Caudron, “Industry’s Unsung Heroes,” Industry Week, December 4, 1995, 12–16. to capture the thoughts of project participants that are not reflected in the project reporting tools. The Humm Factor derived its name from a project manager who always claimed he could tell you more by listening to the hum of the project than reading all the project reports. 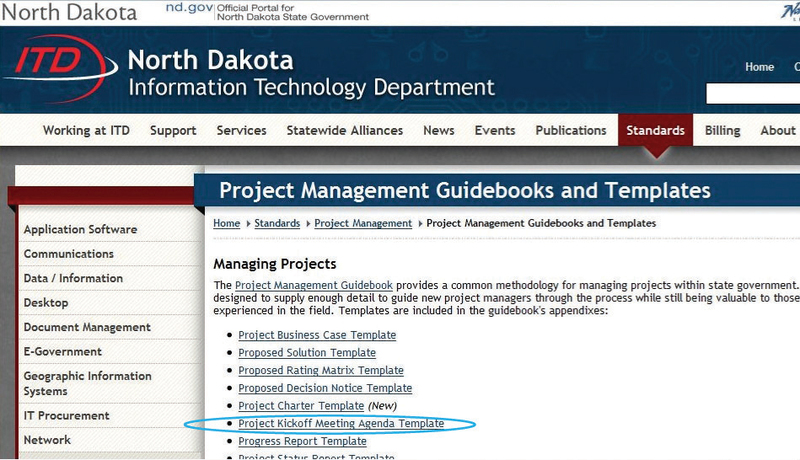 The tool developed qualitative information for the project manager and leadership team. The Humm Factor is essentially a survey that is developed during the early phases of the project. A series of questions are selected from a database of questions that are designed to elicit responses that require reflection and do not require data. “Do you feel the project is doing the things it needs to do to stay on schedule?” and “Is the project team focused on project goals?” are the types of questions that can be included in the Humm Factor. The qualitative responses are converted to a quantitative value as a score from 1 to 10. Someone on the project or assigned to support the project is responsible for distributing the survey on a weekly or less frequent basis depending on the complexity profile of the project. A project with a high level of complexity due to team-based and cultural issues will be surveyed more frequently. Responses are tracked by individual and by total project, resulting in qualitative comparisons over time. The project team reviews the ratings regularly, looking for trends that indicate an issue may be emerging on the project that might need exploring. An elevator speech is a synopsis of the project’s purpose and character that can be told quickly. A project story will develop, and creating a positive project story is a project management skill that helps the project. A positive project story is inviting to people and helps with the recruitment of talent to the project. A positive project story also helps when services are needed from functional departments within the company and in developing management support for the project. Creation of the project story is an active process. The project manager actively sets out to create the story. Every project, by definition, is unique. Creating the positive story entails identifying those unique aspects of the project and building a positive outcome. A pharmaceutical project team in Colorado was building a plant to produce a drug that would save lives. The faster the plant was completed, the more lives would be affected by the drug. One story addressed the challenges of designing and building a plant in record time. A second story emerged: the balance of safety against speed. Safety procedures limited the number of subcontractors and people working in the same area. To accomplish the work, the project team found creative ways of accomplishing the work off-site and scheduling work to minimize safety problems while meeting aggressive timelines. The story became the challenge. People identified with the challenge and wanted to be part of the success. A type of trust that is formed by observing that a person’s truthfulness is supported by observable facts is called ________ _________ (two words). A type of trust that is formed by knowing that the other person would not risk the penalties for being untruthful is called the high cost of ________. A type of trust that is formed by knowing that the other person is acting in his or her own self-interest is called ___-________ trust. A type of trust that is formed by evaluating a person’s motives and concluding that they are not hostile is called an attribute of ________________. To create trust, a manager should align official goals with ______ goals. The Humm Factor is a method to collect ________ information about a project that indicates the “gut feeling” that the project team has about a project. A short statement about the project that captures its purpose and character that could be relayed in less than a minute is called an _________ story. How does lack of trust affect filtering of information, and how does that affect the project? What are four types of trust? How can a manager create trust? What are three main meeting types and what are their characteristics? How do functional, cross-functional, and problem-solving teams differ from each other? What is the purpose of the Humm Factor? Consider someone you met recently and whom you felt you could trust. Which of the four types of trust do you think you have for this person? Is there a relationship of mutual trust between you? If so, what would be an example of something each of you would trust the other to do? What would be an example of a project team function or type of team where this trust would be beneficial? Describe two situations that involve delegating work to other people. The first is a positive example that worked well, and the other is one that did not. Analyze the reasons for the success and failure of the two examples using the information about trust and personality types from this chapter. Choose a project with which you are familiar that does not have a good elevator story. Attempt to create one and explain how it could be used to promote the project. Describe a project where trust or distrust became a major factor in the success or failure of the project. Using the four kinds of trust described by Lindskold, explain how trust was formed or lost. Consider the descriptions offered by other students of their trust experiences and identify a situation where one of the same types of trust was established or lost. Compare the effects on both projects. Describe a project where differences in culture affected communications, negotiations, or decision making.